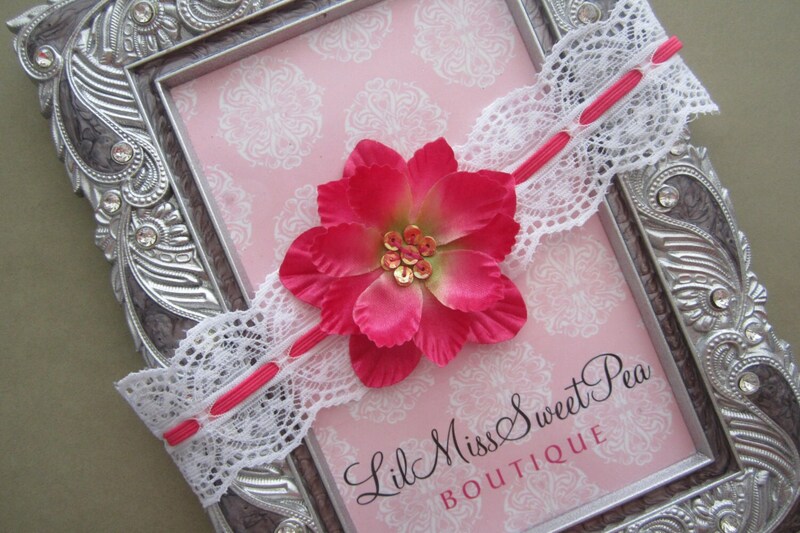 This pretty headband is one of my favorite. I love lace, and this scalloped stretchy eyelet lace with a coordinating elastic in the center has a matching sequin centered flower. Center elastic is also very stretchy so it stretches along with the lace. Lace is 1.5 inches at the wides point of the scallops. Perfect for all ages, but will be particularly cute on a newborn. 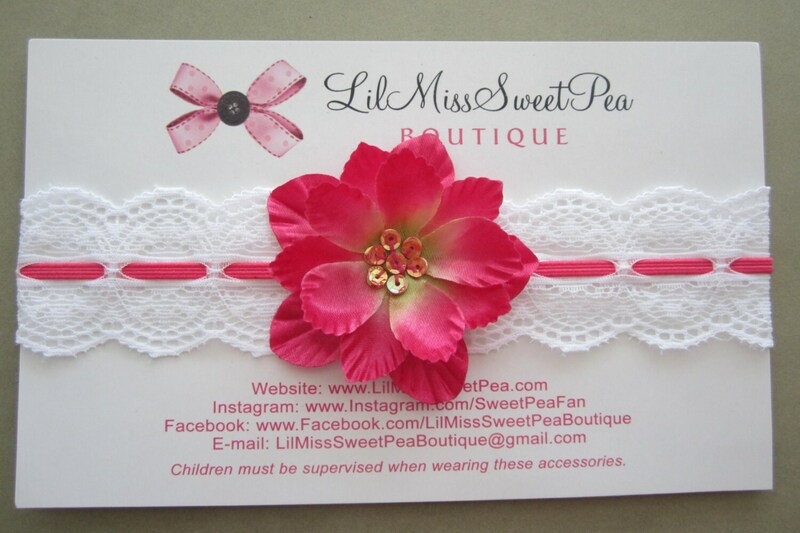 Our products come nicely packaged on a card and in a clear sleeve for gift giving. Choose your size from the drop down menu to order.